Smart Dogs Aren’t Just in Movies! 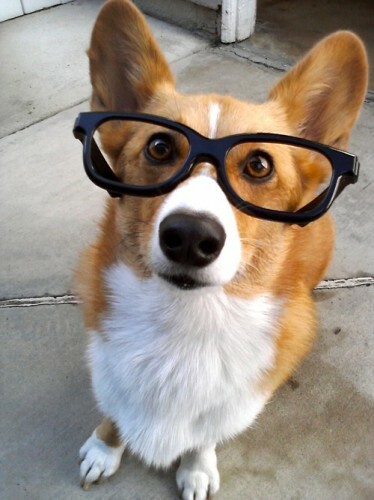 How Your Furry Friend Is Really a Genius! It’s always nice to come home from work to an excited pup waiting for you by the door as if they haven’t moved since you left. It is that kind of unconditional love that we adore about our BFFs (our best furry friends, that is)! According to recent studies, our BFFs’ behavior is a sign that they are much smarter than we think! You probably notice that your dog seems more excited to see YOU than others. That’s because dogs are complex social animals, and they recognize you! We often think that chimpanzees are the closest species to us, but dogs can actually read human gestures better than any other species. They can solve any problem if they rely on people because they see us as emotional partners. Heck, who are we kidding? We rely on them, too! So what is your dog actually thinking while he’s giving you that long, loving gaze that’s just beggin’ for attention? Dogs actually have the same brain structures and hormones and even go through the same chemical changes that we do. So when you have a staring contest with your dog, it’s actually a physiological change that causes an increase in oxytocin, the love and affection hormone. This bonding response is sort of their way of giving you a hug! Now to the more obvious emotions dogs can portray and how to spot them. We all know that humans dream, smile, and laugh, but what about your furry friend? Well, guess what? They actually do all of the above! Dreaming – Do you ever wonder if Fido is dreaming of chasing that rabbit in the yard when you see his little legs twitch while he sleeps? He very well might be! A study shows that the brainwave patterns of sleeping dogs are similar to humans, consistent with the idea that dogs are in fact dreaming. Smaller dogs will dream about every 10 minutes while bigger dogs’ dreams are typically an hour apart. Now whether they’re dreaming about that delicious piece of turkey they snagged from the table earlier or about their favorite bone gone missing is a mystery only we can guess! Smiling – Have you ever noticed your puppy grinning after taking a walk with you or playing fetch for a while? Well, he really IS smiling! The way to spot if your dog is overjoyed is to check for their smile – just look for a slightly open mouth with that adorable tongue over their front teeth. When you see that, you know your dog is happy and enjoying the time being spent with you. Laughing – Although it doesn’t sound like a human’s chuckle, dogs actually laugh. Recordings of dogs playing showed a broader range of frequencies than a regular dog pant. When these sounds were played for other dogs, they brought joy to the dogs as well. It’s really true – dogs enjoy laughing and having fun just as much as we humans do! Now that it is confirmed that your dog is a genius, it’s time to have deep conversations and practice your stand-up with them, right? Give it a shot and see how your dog reacts – you might be surprised! This entry was posted in Fun information and tagged BauserHaus, dog behavior, doggy daycare STL, dogs, dogs STL, your dog is a genius. Bookmark the permalink.